A young woman babysitting in a Hove house chased away two burglars after discovering them in the hallway rifling through a handbag. 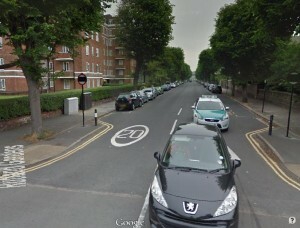 The burglary happened in Rutland Gardens, Hove, at about 11.20pm on Saturday, 28 March while the occupants were out for the evening and the babysitter was looking after their two children. After hearing a noise the babysitter went out to investigate and found two men in the hallway rummaging through the occupant’s handbag. As soon as they saw the babysitter they ran off, and when she tried to stop one of them from escaping over the garden fence a struggle ensued and she was left with a cut finger and a bruised leg. They escaped with a green satchel handbag containing a Kindle. The two suspects are both described as white, about 19, 5ft 10in, of medium build and about 19 years old. One was wearing a red hooded top (hood up) and tracksuit bottoms, and the other one had short brown hair and was wearing a light coloured jumper. If you saw anything suspicious in that area late that evening, or have any other information, please contact police via 101@sussex.pnn.police.uk or call us on 101, quoting serial 1632 of 28/3. Alternatively you can speak to the independent charity Crimestoppers anonymously on 0800 555 111.